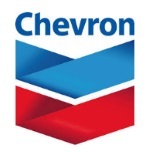 édité le 02/02/2015 - Plus de news de "CHEVRON" - Voir la fiche entreprise de "CHEVRON"
Chevron Corporation reported earnings of $3.5 billion ($1.85 per share – diluted) for fourth quarter 2014, compared with $4.9 billion ($2.57 per share – diluted) in the 2013 fourth quarter. Foreign currency effects increased earnings in the 2014 quarter by $432 million, compared with an increase of $202 million a year earlier. Full-year 2014 earnings were $19.2 billion ($10.14 per share – diluted) compared with $21.4 billion ($11.09 per share – diluted) in 2013. Sales and other operating revenues in fourth quarter 2014 were $42 billion, compared to $54 billion in the year-ago period.